A new opera for children is to have its world premiere at Edinburgh Festival Fringe this August. Fox-tot! is a co-comission by Scottish Opera with Royal & Derngate, Northampton for children aged 12 to 24 months. It tells the story of a little fox sent on an adventure to explore the world and learn to see through the eyes of other creatures, including a cat, a butterfly and a frog. Composed by former Scottish Opera Composer in Residence, Lliam Paterson, his acclaimed ‘opera for babies’, BambinO, had sell-out performances last year at the Fringe, in Paris and at the Metropolitan Opera in New York. Sung in English, Lliam’s new work takes inspiration from French baroque dances and contemporary opera. Scottish Opera’s Director of Education and Outreach, Jane Davidson, said: “Fox-tot! is Scottish Opera’s most recent foray into creating opera for children. 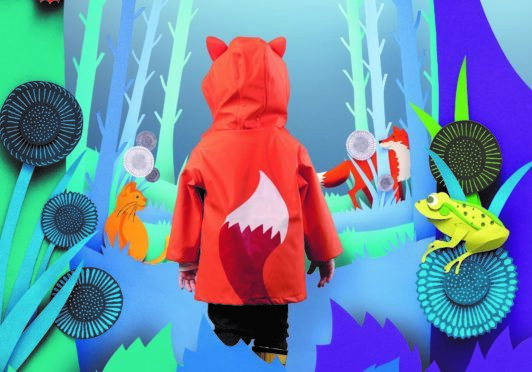 “Building on their BambinO experiences, our babies are now toddlers; discovering a delicately coloured sound world rooted in French baroque, complete with a trio of creatures ready to flit, paddle and scamper through the forest with them.